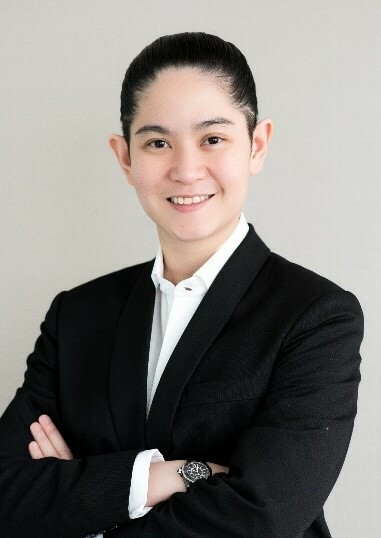 Dr. Rachda Chiasakul is a Partner and Director of Advisory Group at Bolliger & Company (Thailand). She is one of a few Trade Policy Specialists in Thailand. During the past 15 years, she has been advising various government organizations and multinational corporations mostly in ASEAN on various regulatory, strategic, and trade issues. Dr. Rachda has worked closely with many ministries related to economic policy making in Thailand (e.g. Ministry of Commerce, Ministry of Industry, Ministry of Finance, and Ministry of Digital Economy and Society). Notably, Dr. Rachda has lead numerous projects on FTA feasibility studies, policy and regulatory impact analysis and strategic planning toward ASEAN Economic Community (AEC). Prior to joining Bolliger & Company, she was Director of Advisory Group of Bryan Cave (Thailand). She also had represented the Boston Consulting Group (BCG), serving clients in many leading multinational organizations including international national oil companies, oil companies and leading Thai banks. She is specialized in strategic advisory, operational, and organizational management. Assisting the Office of Industrial Economics (OIE), Ministry of Industry, in the Study of Strategic Linkages between Manufacturing and Service Industries under an International Industrial Economy Phase 2. Advised Software Industry Promotion Agency (SIPA) on investment incentives suitable for the promotion of digital industry and measures to develop Phuket as a Smart City. Formulated strategic plan to utilize the ICT cooperation among ASEAN countries for the Ministry of Digital Economy and Society. Evaluated benefits and costs of e-Government services provided by the Electronic Government Agency (EGA). Provided a strategic plan for Thailand digital government strategy Phase 2, 2017 – 2021, Electronics Government Agency (EGA). Assisted Thailand Board of Investment (BOI) to provide the information on how to invest in ASEAN countries. Conducted a research on potentials for facilitation of cross-border trade of key agricultural commodities in border provinces of Kayin, Myanmar and Tak, Thailand for Mekong Institute. Assisting the Office of Industrial Economics (OIE), Ministry of Industry in the Study of Strategic Linkages between Manufacturing and Service Industries under an International Industrial Economy. Assisting the International Affairs Bureau, Office of the Permanent Secretary, Ministry of Information and Communication Technology, to conduct a final review of ASEAN ICT Masterplan 2015 (Phase 2). Assisting the National Housing Authority (NHA) on the study of community wealth creation through social enterprises. Conducted a Final Review of ASEAN ICT Masterplan for the ASEAN Secretariat and the Ministry of Information and Communication Technology. Reviewed the progress of projects under the ASEAN ICT Masterplan 2015, undertaken by all ASEAN countries, for the Ministry of ICT, Thailand, and the ASEAN Secretariat. Assisted Thailand Board of Investment (BOI) in identifying business opportunities and studying investment regulations in Kyrgyzstan, Pakistan, Nigeria, and Bangladesh. Assisted Thailand Board of Investment (BOI) to provide the information on how to invest in CLMVI countries (Cambodia, Laos, Myanmar, Vietnam and Indonesia). Assisted Thailand Board of Investment (BOI) in conducting investor confidence survey (2015). Assisted the Department of Trade Negotiation, Ministry of Commerce in developing Thailand Trade Monitoring System (TMS). Assisted the Trade and Policy Strategy Office (TPSO), Ministry of Commerce in designing Trade Intelligence System (TIS). Assisted the Department of Trade Negotiation, Ministry of Commerce, Thailand, in conducting a Study of ASEAN Economic Cooperation Beyond 2015. Assisted the Department of Trade Negotiation, Ministry of Commerce in the Study on the Global Value Chain within the Countries of the Regional Comprehensive Economic Partnership (RCEP). Assisted the Department of Intellectual Property (DIP) in The Study on Thailand’s Accession to the Hague Agreement Concerning the International Registration of Industrial Design. Assisted the International Affairs Bureau, Office of the Permanent Secretary, Ministry of Information and Communication Technology, to conduct a final review of ASEAN ICT Masterplan 2015 (Phase 1). Advised the Ministry of Information and Communication Technology on Thailand ICT Strategic Plan for ASEAN Community Post-2015. Assisted the Department of Trade Negotiation, Ministry of Commerce, Thailand, in conducting a Study of Thailand’s Partner Countries' FTAs and Impact in Thailand. Assisted the Department of Trade Negotiations, Ministry of Commerce, on research regarding the impact of Thailand-EFTA Free Trade Agreement. Advised the Tourism Authority of Thailand on Marketing Strategic Plan toward Integration into the ASEAN Economic Community (AEC) 2015-2016. Advised the National Housing Authority (NHA) on residents’ satisfaction. Assisted the Department of Trade Negotiation, Ministry of Commerce, Thailand, in the Study of Impact of Customs Duty Drawback Scheme under the context of trade with the EU for Client. Assisted the Department of Trade Negotiation, Ministry of Commerce in developing Thailand National Trade Repository (NTR). Assisting the Office of Permanent Secretary, Ministry of Information and Communication and Information Technology, Thailand, in conducting a survey related to the provision and utilization of e-Services in ASEAN. Assisted the Thailand Board of Investment (BOI) in conducting investor confidence survey (2014). Assisted the Department of Trade Negotiation, Ministry of Commerce, Thailand in The study on preferential rules of origin under RCEP. Assisted Thailand Board of Investment (BOI) in conducting investor confidence survey (2013). Assisted the National Housing Authority (NHA) in Monitoring and Evaluation (M&E) of NHA’s policy and projects on low income housing. Assisted the International Institute for Trade and Development (ITD) in conducting research enhancing opportunities from the Greater Mekong Subregion (GMS) Economic Corridors to the ASEAN Economic Community (AEC). Assisted the National Housing Authority (NHA) on study on Mortgage Loan Insurance. Assisted a the Department of Business Development on study of Impact of FTAs on Logistic Sector. Assisted the Permanent Secretary Office, Ministry of Commerce in providing in-depth trade and investment data update and analysis. Assisted a multinational company in designing an effective consumer-backed supply chain footprint in Asia Pacific. Assisted the Department of Trade Negotiation, Ministry of Commerce in conducting impact studies of the ITA (Information Technology Agreement). Assisted the Permanent Secretary Office, Ministry of ICT in a study on opportunity in ICT sectors and impact from ASEAN Economic Community (AEC). Assisted the Department of Trade Negotiation, Ministry of Commerce in conducting impact studies of the Trans Pacific Partnership Agreement (TPP) and its impact on Thailand both joining and not joining it. Assisted the Department of Trade Negotiation, Ministry of Commerce in conducting impact studies of Thai-US FTA as well as drawing up trade negotiation strategy. Assisted the Department of Industrial Work, Ministry of Industry in a study on opportunity for industrial sectors and impact from ASEAN Economic Community (AEC) to establish coordination network between government and private sectors in AEC in light of mutual sustainable industrial development and to perform comprehensive “Ex-Ante Impact Analysis” for the impact of the negotiation in the next phrase on Thailand. Assisted the Department of Industrial Work, Ministry of Industry to provide strategic planning for policy and measures formation in compliance with international agreements, coordination and regulations. Assisted the National Housing Authority to provide a study of economic and social impact assessment on low-income housing project in provincial areas. Assisted the Department of Business Development, Ministry of Commerce to study the feasibility of improving the administration and linking of business data within AEC. Assisted the Department of Industrial Work, Ministry of Industry in conducting a research study on Registration, Evaluation, Authorization and Restriction of Chemical substances (REACH) and Energy-using Products (EuP), their impacts and implication for Thailand especially, to enhance the capability of entrepreneurs and Thailand’s competitiveness in the world market. Assisted the National Housing Authority in conducting a research study and provide capacity building trainings on economics and social impact analysis of public housing investment. Assisted the Department of Trade Negotiation, Ministry of Commerce in conducting impact studies of Thai-EFTA FTA, as well as drawing up trade negotiation strategy. Managed and conducted study for the Department of Trade Negotiation, Ministry of Commerce on the impact of ASEAN-India FTA and preparation for negotiation in the next phrase, focusing mainly on trade in services and investment liberalization potential impact to Thailand, opportunities and measures to mitigate the adverse impact. Managed and conducted study for the Department of Trade Negotiation, Ministry of Commerce on the impact of Thai-Australia and Thai New Zealand Free Trade Agreement and preparation for negotiation in the next phrase. The study included managing various focus group meeting includes stakeholders from Auto Industry, Textile and apparels, Agricultural, Process food, Fruits, Vegetable, Services includes Audiovisual, Recreation, Construction, Telecom, Health Care, Tourism, Environmental Services. Managed and conducted study for the Department of Intellectual Property on fighting camcording piracy. The study included analyzing the impact of camcording piracy, studying current situations of camcording piracy in Thailand, conducting comparative analysis of measures for preventing and suppressing camcording piracy, presenting case study, and preparing the operation plans for Thailand to fight camcording piracy. Managed the process for drawing up strategic plan, detailed monitoring and evaluation process of The Office of Industrial Economics (OIE), under the Ministry of Industry and The Department of Skill Development (DSD), under the Ministry of Labor. Conducted extensive environmental scanning and analysis of the organization that is responsible for recommending appropriate and effective industrial development policies, guidelines, including the country’s industrial development plans and proposing policies and defining country’s positions to negotiate with international organizations and agencies on industrial issues (2008). Organized training and carried out strategic thinking session and stakeholders meeting session to draw up 4 years (2009-2012) strategic and operational plans for The Office of Industrial Economics (OIE) (2008). Performed an Airport Pricing Strategy diagnostic analysis and drew up pricing policies for the Office of Transport and Traffic Policy and Planning (OTP), Ministry of Transport. The study concentrated on pricing for suvarnabhumi airport, Don Muang Airport, Thai Airways International (as a handler), and Aeronautical Radio of Thailand Limited (AEROTHAI) and focused the analysis and proposed solutions based on the problems raised from above entities and from International Air Transport Association (2008). Conducted extensive research on Tourism and Hotel Industry in Thailand’s Major tourist destinations e.g. Phuket, Samui, and Chiang Mai The analysis includes an environmental scanning, and analysis of industry structure and competitive landscape. Conducted the “Study of the Bumiputra Entrepreneur Development Programs” for Khazanah Nasional Berhard, the investment holding (2006). Directed a social impact analysis study for NHA’s urban redevelopment project. Conducted and organized training on project cycle management, project evaluation, and social impact analysis. The scope of the project includes: 1) Constructing matrix relating project stages to social impact assessment variables using both formal survey methods and focus groups, while emphasizing participatory work. 2) Various projections and estimations of effects using benefit cost analysis, willingness-to-pay model, and economic base models (2005). Conducted the feasibility study for Leam-Chabang Port Reform (the main deep-sea Port of Thailand located on the eastern seaboard of Thailand.) Outputs include Organizational Restructuring, Financial Estimation, Marketing plans, and Feasibility study of Port Privatization. Performed SWOT analysis and value-chain analysis, formulated strategy, conducted organizational structure analysis, proposed effective organizational design and planned for organization change using both task-technology as well as people-focused intervention (2004). Speaker International ASEAN Workshop. “ASEAN E-Services Identfication”, Pullman, Bangkok, Thailand. Speaker Seminar. “International Trade with CLMV” on May 7 2014, thai-Nichi Institute of Technology, Bangkok, Thailand. Speaker Seminar. “Thailand National Trade Repository”, on March 26, 2014, Ministry of Commerce, Bangkok, Thailand. Speaker Seminar: “Micro-finance for NHA‘s Ban-Eau-Arthorn’s Buyers”, on November 28, 2013, National Housing Authority, Bangkok, Thailand. Speaker Seminar: “Future Trends and Next Move for Thai Entrepreneur”, on November 20, 2013, co-sponsored event of Department of Trade Negotiation & Thai National Shippers’ Council (TNSC), Imperial Queen’s Park, Bangkok, Thailand. Speaker Seminar: “Entering the Trans-Pacific partnership (TPP)?”, on September 23, 2013, the Eastin Hotel, Bangkok, Thailand. Speaker Regional Stakeholder Engagement: “Entering the Trans-Pacific partnership (TPP)?”, on August 28, 2013 in Chiangmai, on September 4, 2013 in Chonburi, on September 6, 2013 in Songkla, and on September 10, 2013 in Udornthani, Thailand. Speaker: “Integrating GMS into the AEC”, on August 30, 2013, Bangkok, Thailand. Speaker: “ICT for ASEAN” for the Ministry of ICT, on August 8, 2013, Ayudhya, Thailand. Speaker: “Thai-EFTA FTA Opportunities and Challenges” for the Ministry of Commerce on March 25, 2013 in Khon Khean and on May 16, 2013 in Bangkok, Thailand. Speaker: “The Trans-Pacific Partnership: Should Thailand become a Partner?” on April 26, 2013 at Dataconsult Thailand Regional Forum and Thailand Corporate Finance Forum, Bangkok. Speaker: “Impact of FTAs on Logistic Sector” on March 19, 2013 at the Department of Business Development, Ministry of Commerce, Thailand. Speaker: “AEC & MICT Smart Thailand” on February 21, 2013, at Eastin Grand Sathon Hotel, for the Ministry of ICT, Bangkok, Thailand. Speaker: “Interesting trade Issues from TPP” on August 8, 2012, at Thailand Chamber of Commerce, Bangkok, Thailand. Speaker: “AEC: Opportunities and Directions” on Thursday, July 26, 2012 at BITEC Bangna. The seminar organized by the Office of Industrial Economics, Ministry of Industry. Speaker: “Thailand in the TPP”, Round table high-level meeting on TPP, February 2, 2012, Department of Trade Negotiation, The Ministry of Commerce, Thailand. Speaker: “Opportunities & Threats from AEC for Automotive & Vehicles, Auto Parts & Accessories Industries”, Isuzu Suppliers Group Seminar, November 3, 2011, Bangkok, Thailand. Speaker: “Economics and Social Impact Analysis for Low-Income Housing Projects in Chonburi, Mahasarakham, Nongkhai, Pitsanulok, and Phuket” at the National Housing Authority, Bangkok, September 5, 2011, Bangkok, Thailand. Speaker: “Strategic Planning for Policy and Measures Formation in Compliance with International Agreements, Coordination and Regulations”. Department of Industrial work, Ministry of Industry, September 2, 2011, Bangkok, Thailand. Speaker: “Economics and Social Impact Analysis for Low-Income Housing Projects” at the National Housing Authority, Bangkok, June 11, 2010, Bangkok, Thailand. Speaker: “TAFTA and TNZCEP Impacts and way forward” at the Meeting of the subcommittee to monitor impacts from the free trade agreement of the Board of Trade of Thailand, September 29, 2009, and December 1, 2009, Thailand Chamber of Commerce, Bangkok, Thailand. Speaker: “Anti-Camcording Piracy Measures in Thailand” November 23, 2009, Ministry of Commerce, Bangkok, Thailand. Speaker: “Trade negotiation strategy from sectoral competitiveness and industry analysis”. August 25, 2009, Bangkok and August 28, 2009, Chonburi. Part of the Seminars on Impact of ASEAN-India Trade in Services and Investment FTA on Thailand. Speaker: “Economic, Social and Environmental Impact of ASEAN-India FTA focusing on trade in services and investment liberalization”. June 17, 2009, Bangkok and June 24, 2009, Chonburi. Seminar on Impact of ASEAN-India Trade in Services and Investment FTA on Thailand. Speaker “SWOT Analysis for the Department of Skill Development, Ministry of Labor” August 8, 2008, Bangkok, Thailand. Speaker “Strategic Planning and Stakeholders’ Involvement” Seminar for The Office of Industrial Economics (OIE), Ministry of Industry’s Strategic Planning. January 10, 2008, Bangkok Thailand. Speaker “External Analysis for Office of The Office of Industrial Economics (OIE), Ministry of Industry’s Strategic Planning”. November 3, 2007, Uthaithani, Thailand. Norlia Ahmad, Rachda Chiasakul, 2005 “Task Environment and Resource Deployment: Their Impact on the Performance of Telecommunications Firms in Asia-Pacific Countries.” Asian Business & Management Vol. 4 (2) (June). pp. 157-184. Norlia Ahmad, Rachda Chiasakul, 2005 “The Influence of Changes in Task Environment on Performance of Telecommunications Industry in Asia-Pacific Countries.” Ritsumekan Journal of Asia Pacific Studies Vol. 17 (March). pp. 87- 109. Chiasakul, Rachda, 2003 “Monetary Policy Responses to Large Capital Inflow and Domestic Interest Rates: The Case of Asian Crisis Countries Prior to the Crisis.” Journal of International Development Studies (JIDS) Vol. 12 (1) (June). pp. 63-84. Ahmad, Norlia, and Rachda Chiasakul, 2005 “The Influence of Changes in Task Environment on Performance: An Analysis of the Telecommunications Industry in Asia Pacific Countries”, presented at the 4th Global Conference on Business and Economics, Oxford, England, June 26-28, 2005. Chiasakul, Rachda, 2003 “Capital Inflows and the Exchange Rate Alignments: The Cases of Asian Crisis Countries Prior to the Crisis”, presented at Ritsumeikan Asia Pacific Conference, Beppu, Japan, November 27-28, 2003. Ahmad, Norlia, Rachda Chiasakul, and Yoshiaki Takahashi, 2003 “An Empirical Analysis of Task Environment, Resource Deployment and Performance: The Case of Telecommunications Industry in Asia-Pacific Countries”, presented at the 20th Annual Conference of Euro-Asia Management Studies Association (EAMSA), Stockholm School of Business, Sweden, October 22-25, 2003. Ahmad, Norlia, and Rachda Chiasakul, 2003 “Empirical Study on Task Environment and Performance of Telecommunications Industry in Asia Pacific Countries”, presented at the International Conference of the Asian Academy of Applied Business, Sabah, Malaysia, July 10 -12, 2003. Chiasakul, Rachda, 2003 “Sterilization of Capital Inflow and its Influence on Domestic Interest Rates in Asian Crisis Countries: Prior to the Crisis”, presented at the spring 2003 Conference, the Japanese Economic Association, Oita, Japan; June 14, 2003. Chiasakul, Rachda, 2001 “Capital Account Crisis: An Empirical Illustration”, presented at the 12th Annual Conference, the Japan Society for International Development, Hiroshima, Japan, 1-2 December 2001. Dr. Sarut Wittayarungruangsri works on advisory projects for sovereign clients and private companies. His work includes feasibility studies, economic impact studies relating to free trade agreements (FTAs), research design and analysis, and stakeholder engagement. His specialization is in the area of quantitative economic analysis, trade policy, and market research. He has conducted extensive research into the effects and implications of trade remedy measures. He is frequently invited to lecture at various universities on a range of topics including economics and commercial policy. He has given talks on trade regulations at venues in the US, Europe, and Thailand. His academic work has been published in refereed journals of international repute. Before joining Bolliger & Company, he was a Project Manager at Synovate (now Ipsos) where he provided business analyses and strategies for commercial banks. Prior to that, he was at Fiscal Policy Research Institute, engaging in many projects regarding Thailand's international trade and industrial policies for various government authorities. He had served in the Sub-Committee on Budget Management Monitoring, the House of Representative. Conducted a foreign investors' confidence survey in 2014 for the Thailand Board of Investment (BOI). Assisted the Permanent Secretary Office, Ministry of ICT, Thailand, and the ASEAN Secretariat in the Study on ASEAN e-Services Identification. Performed a market research to understand the behavior of customers in auto parts and after-sales-service market as well as to estimate the market size of automobile after-sales market in certain provinces. Conducted a foreign investors’ confidence survey in 2013 for the Thailand Board of Investment (BOI) with participation of over 500 companies. Studied market environment and projected long-term demand for certain products in various countries in order to give advice to a large multinational firm as to how to plan its production capacity and how to manage the supply chain over the whole Asia-Pacific region. Conducted a study for the Department of Industrial Works, Ministry of Industry, Thailand, to assess the potential impact on Thai industries if Thailand were to adopt regulations similar to the EU’s Registration, Evaluation, Authorization and Registration of Chemical Substances (REACH) and Energy-using Products (EuP). Assessed economic and social impact of the National Housing Authority’s housing projects for low-income citizens. Assisted the Department of Trade Negotiations, Ministry of Commerce, in conducting impact study of Trans-Pacific Partnership and provided in-depth analysis regarding effects of such agreement on certain sectors. Advised a Japanese prefabricated house manufacturer on the duty reduction/exemption and rules of origins under the JTEPA so as to minimize costs arising from import tariffs. Provided an automobile company with overview of Thailand’s FTAs, benefits of such FTA on the country’s trade and revenue, and positive and negative experience of Thai entrepreneurs. Evaluated past and future economic impact of the Thailand-Australia Free Trade Agreement (TAFTA) and the Thailand-New Zealand Closer Economic Partnership (TNZCEP) and identified negotiation strategies for Thailand’s trade negotiators. Dr. Kornvica Pimukmanaskit has extensive experience in research and consultancy for sovereign clients and private companies. She provides advice on negotiation strategies, economic impact studies, trade and investment opportunities, and stakeholder engagement. Major areas of her specialization are Free Trade Agreements (FTAs), the ASEAN Economic Community (AEC), and the Greater Mekong Subregion (GMS). Her research and consultancy experience covers a wide range of topics, including international economics, macroeconomics, microeconomics, international finance and banking, public sector management, trade negotiation studies, public and organizational strategy, and strategic management. In addition to her work on research projects, she has also represented clients as a speaker/lecturer in several public seminars. 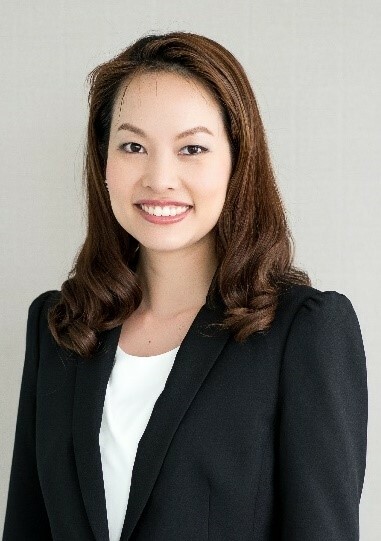 Before joining Bolliger & Company, she worked at Thai leading banks, providing advice for clients on economic outlook, business opportunities in Thailand, and financial market analysis. She had also represented government research unit and major universities where she conducted several research projects in economic impact analysis, trade and investment policy, and organizational management. Conducted research on potentials for facilitation of cross-border trade of key agricultural commodities in border provinces of Kayin, Myanmar and Tak, Thailand for Mekong Institute. Assisted the Office of Industrial Economics (OIE), Ministry of Industry, in the Study of Strategic Linkages between Manufacturing and Service Industries under an International Industrial Economy. Developing and designing a trade monitoring system, Department of Trade Negotiations, Ministry of Commerce. Gathering data, information, laws and regulations relevant to trade and investment in Thailand to construct Thailand’s National Trade Repository Website (www.ThailandNTR.com) per ASEAN Trade Repository (ATR) commitment, Department of Trade Negotiations, Ministry of Commerce. Designing and providing suggestions on a trade intelligent system, Ministry of Commerce. Conducted a study on the impact of the potential change in customs duty drawback scheme, Department of Trade Negotiations, Ministry of Commerce. Conducted a study on trade and investment opportunities in GMS Economic Corridors under ASEAN Economic Community (AEC) Framework, International Institute for Trade and Development (ITD). Conducted a study to raise awareness and disseminate knowledge regarding the ASEAN Economic Community (AEC) in ICT sector, Ministry of Information and Communication Technology (MICT). Analyzed data for a study on impact of expanding the Information Technology Agreement (ITA), Department of Trade Negotiations, Ministry of Commerce. Redesigned, improved and updated Trade Policy and Strategy Office’s website, Ministry of Commerce. Studied market environment and projected demand for products to plan its production capacity and manage the supply chain in the Asia-Pacific Region. Conducted a study on opportunity for industrial sectors and impact from ASEAN Economic Community (AEC), Department of Industrial Work, Ministry of Industry. Conducted a study of Thai-US FTA and Trans-Pacific Partnership (TPP), Department of Trade Negotiations, Ministry of Commerce. Evaluated impact studies of Thai-EFTA FTA, Department of Trade Negotiations, Ministry of Commerce. Speaker and MC Seminar “Thailand Overseas Investment Forum 2016”, August 1, 2016, Centara Grand at Central Plaza Ladprao. The seminar was co-hosted by the Thailand Board of Investment (BOI) and Bolliger & Company. Speaker Seminar “Study of Strategic Linkages between Manufacturing and Service Industries under an International Industrial Economy”, June 7, 2016, Chaophya Park Hotel, Bangkok, Thailand. The seminar was co-hosted by Office of Industrial Economics and Bolliger & Company. Speaker Seminar: “Investment Opportunities in ASEAN”, May 10, 2016, Nakhon Ratchasima, Thailand. The seminar was co-hosted by the Thailand Board of Investment (BOI) and Bolliger & Company. Speaker Focus Group “Study of Strategic Linkages between Manufacturing and Service Industries under an International Industrial Economy”, March 3, 2016, Office of Industrial Economics. Speaker Seminar: “Investment Opportunities in CLMVI”, July 8, 2015, Chiang Rai, Thailand. The seminar was co-hosted by the Thailand Board of Investment (BOI) and Bolliger & Company. Speaker Seminar: “AEC & MICT Smart Thailand”, February 21, 2013, Eastin Grand Sathorn Hotel, the Ministry of Information and Communication Technology (MICT), Bangkok, Thailand. Speaker Seminar: “The Study on Opportunity for Industrial Sectors and Impact from ASEAN Economic Community (AEC)”, September 7, 2011, the Twin Tower Hotel, Bangkok, Thailand. MC Seminar: “Readiness of ICT Thailand under ICT ASEAN”, October 4, 2016, Sathorn Square Tower, The seminar was co-hosted by the Ministry of Digital Economy and Society, and Bolliger & Company. MC Seminar: “Investors’ Confidence Survey 2016”, August 10, 2016, Eastin Grand Sathorn Hotel. The seminar was co-hosted by the Thailand Board of Investment (BOI) and Bolliger & Company. MC Seminar: “Social Business: Generating Revenue from Waste”, June 1, 2016, the Grand Fourwings Convention Hotel, Bangkok, Thailand. The seminar was co-hosted by National Housing Authority and Bolliger & Company. MC Seminar: “ASEAN ICT Masterplan 2020 and the Way Forward”, March 22, 2016, Eastin Grand Hotel, Bangkok, Thailand. The seminar was co-hosted by the Ministry of Information and Communication Technology (MICT) and Bolliger & Company. MC Seminar: “ICT ASEAN after 2015”, February 5, 2016, Eastin Grand Hotel, Bangkok, Thailand. The seminar was co-hosted by the Ministry of Information and Communication Technology (MICT) and Bolliger & Company. MC Seminar: “Investment Opportunities in Kyrgyzstan, Nigeria, Bangladesh and Pakistan”, October 12, 2015, Swissôtel Le Concorde Hotel, Bangkok, Thailand. The seminar was co-hosted by the Thailand Board of Investment (BOI) and Bolliger & Company. MC Seminar: “Investors’ Confidence Survey 2015”, July 29, 2015, Chaophya Park Hotel, Bangkok, Thailand. The seminar was co-hosted by the Thailand Board of Investment (BOI) and Bolliger & Company. MC Seminar: “Study of Thailand’s Partner Countries' FTAs and Impact in Thailand”, June 19, 2015, Eastin Makkasan Hotel, Bangkok, Thailand. The seminar was co-hosted by the Ministry of Commerce and Bolliger & Company. MC Seminar: “Study of Thailand’s Partner Countries' FTAs and Impact in Thailand”, June 9, 2015, Khon Kaen, Thailand. The seminar was co-hosted by the Ministry of Commerce and Bolliger & Company. MC Seminar: “Study of Thailand’s Partner Countries' FTAs and Impact in Thailand”, June 5, 2015, Chiang Mai, Thailand. The seminar was co-hosted by the Ministry of Commerce and Bolliger & Company. MC Seminar: “Planning Strategy for MICT”, March 17, 2015, Chaophya Park Hotel, Bangkok, Thailand. The seminar was co-hosted by the Ministry of Information and Communication Technology (MICT) and Bolliger & Company. MC Seminar: “ASEAN Beyond 2015”, December 18, 2014, Chaophya Park Hotel, Bangkok, Thailand. The seminar was co-hosted by the Ministry of Commerce and Bolliger & Company. MC Seminar: “From ASEAN to RCEP: What is the Rules of Origin (ROO)?”, October 2, 2014, Chaophya Park Hotel, Bangkok, Thailand. The seminar was co-hosted by the Ministry of Commerce and Bolliger & Company. MC Seminar: “The Future of Thailand in ASEAN”, September 24, 2014, Centara Grand at Central Plaza Ladprao Bangkok, Thailand. The seminar was co-hosted by the Ministry of Commerce, International Institute for Trade and Development (ITD), the International Institute for Asia-Pacific Studies Bangkok University (INSAPS), Post Today Newspaper, the Federation of Thai Industries (FTI) and Bolliger & Company. MC Seminar: “Investors’ Confidence in Thailand: What is the Future?”, July 18, 2014, Chaophya Park Hotel, Bangkok, Thailand. The seminar was co-hosted by the Thailand Board of Investment (BOI) and Bolliger & Company. MC Seminar: International ASEAN Workshop. “ASEAN E-Services Identification”, June 26-27, 2014, Pullman, Bangkok, Thailand. The seminar was co-hosted by the Ministry of Information and Communication Technology (MICT) and Bolliger & Company. Moderator Seminar: “ASEAN Connectivity”, February 13, 2014, Department of Trade Negotiations and the Federation of Thai Industries, Bangkok, Thailand. Moderator Seminar: “Integrating GMS into the AEC”, August 30, 2013, Bangkok, Thailand. Moderator Seminar: “Pacific Economic Cooperation Council Meeting”, July 24-26, 2008, Thailand. Moderator Seminar: “Development of Carbon Trading Markets”, July 24, 2008, Thailand. Moderator Seminar: “The Third Asian Bond Conference”, March 11, 2008, Thailand. Moderator Seminar: “Politics and Economic Development of ASEAN, 32nd Conference of the Federation of ASEAN Economic Associations (FAEA)”, December 7-8, 2007, Thailand. 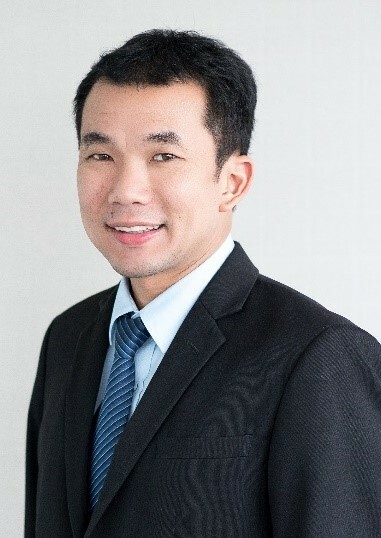 Mr. Chanon Wutthijanyarak is a researcher with knowledge in international economics, macroeconomics, microeconomics, and monetary economics. He has expertise in quantitative and qualitative analysis. 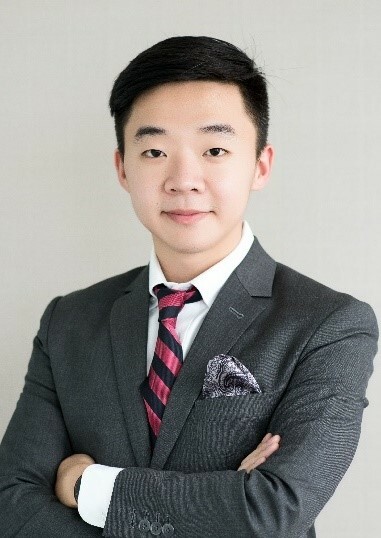 Moreover, he is familiar with market research techniques and has conducted surveys for various organization in both public and private sector. He has also conducted many studies related to ICT policy in Thailand and in ASEAN countries. Assisted Office of Industrial Economics on the strategic study on manufacturing related service sector under international industrial economics context Phase 2. Assisted National House Authority on the study on community wealth creation through the creation of social enterprise. Conducted a workshop on community wealth creation through the creation of social enterprise. Assisted Office of Industrial Economics on the strategic study on manufacturing related service sector under international industrial economics context. Investigated business opportunities and studied investment regulations in for ASEAN countries including Brunei, Cambodia, Indonesia, Laos, Malaysia, Myanmar, Philippines, and Vietnam for the Thailand Board of Investment. Investigated business opportunities and studied investment regulations in four countries including Kyrgyzstan, Nigeria, Pakistan and Bangladesh for the Thailand Board of Investment. Undertook market research for a Japanese pickup-truck company in order to understand the behavior of Thai farmers in term of purchase decision. Assisted Department of Intellectual Property in the study on the impact of Thailand’s participation in the Hague Agreement on the Thai product registration system and on the Thai design industry. Provided a marketing strategic plan toward the integration into the ASEAN economic community 2015 - 2016, Tourism Authority of Thailand. Conducted a focus group meeting for a study on customer satisfaction projects, National Housing Authority. Prepared questionnaire used for conducting foreign investor surveys on 2014 foreign investors' confidence, the Board of Investment of Thailand. Compiled data for Thailand on duty drawback scheme, Department of Trade Negotiations, Ministry of Commerce. Performed a study on 2013 foreign investor confidence survey, the Board of Investment of Thailand. Mr. Nuttapong Poothong works on advisory projects relating to public policy analyses and economic impact assessments. He specializes in quantitative analysis of trade using econometric models such as Ordinary Least Square and Time series Analysis, especially on economic forecasting. In addition, his area of focus and interest covers a wide range of topics, including international economics, industrial organization and labor economics. 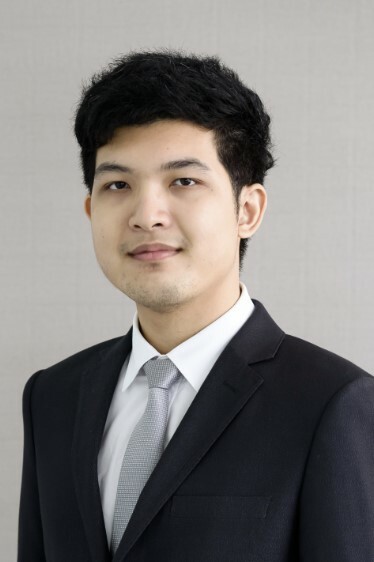 Prior to joining Bolliger & Company, he took an internship program as a research intern at Thailand Development Research Institute (TDRI), which provided him with various public policy and data analysis background. Gathered data and design economic model to forecast labor demand and supply for a study on the labor force projections to 2025 for production planning and human resource development in Thailand, The Office of the Education Council, Ministry of Education. Gathered data, information, laws and regulations relevant to franchising and conducted the opportunity analysis for Thai franchises to invest in CLMV countries, Department of Business Development, Ministry of Commerce. Responsible for researching on labor market and institutional barriers using analytical skills with econometrics techniques needed for quantitative analyses. Responsible for analyzing the competitiveness of selected industries and measuring the economic effect of public policy. Created ideas for niche market campaigns including use of social networks and viral marketing. Mr. Natthakit Kriyothin is a researcher who has knowledge and expertise in economic-policy research. His interest covers a wide range of topics including microeconomics, macroeconomics and public policy, especially on industrial organization. He has sound understanding of supply chains and value chains across industries and nations, and has experience in conducting cost-benefit analysis. Assisted the Office of Industrial Economics (OIE), Ministry of Industry, in the Study of Strategic Linkages between Manufacturing and Service Industries under an International Industrial Economy Phase II. Responsible for researching into Thailand’s industrial sectors; calculating growth, analyzing economic states and finding out factors that affect industries. Attended training sessions, organized by the Public Debt Management Office, to learn about public debt and debt plan project. Created a project using public debt under current Thailand’s condition. Attended seminar sessions in Japan; organized by faculty of economics, Chulalongkorn University, and certain universities in Japan.